So you’re talented, well trained, and passionate about music. What next? The professional marketplace is flooded with outstanding musicians, forced to compete for a shrinking number of “”traditional”” opportunities. The Savvy Musician helps balance three overriding aspects of your professional musical life: (1) building a career, (2) earning a living, and (3) making a difference. 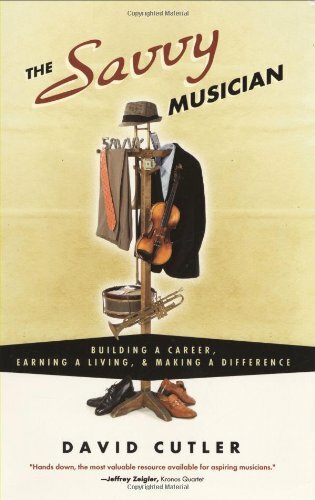 Filled with clearly articulated concepts, detailed strategies, and 165 vignettes about actual musicians working to create a meaningful and prosperous career, this book examines critical elements often overlooked or misunderstood by musicians, and helps you take control of your career. Discover how to build an immediately recognizable “”brand,”” capitalize on technologyfrom Internet tools to the new recording paradigm, expand your network, and raise money to fund your dreams. The Savvy Musician is an invaluable resource for performers, composers, educators, students, administrators, industry employees, and others interested in a thriving musical future.